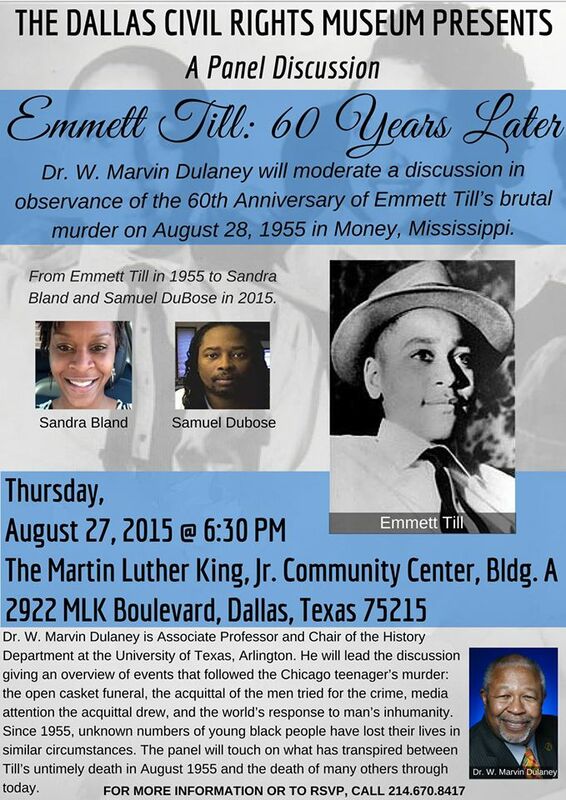 SoMetro Radio will be live at the MLK Center in Dallas, TX today at 6:30p cst / 7:30p est for an informative panel discussion about the death of Emmett Till on August 27, 1955. The public is invited to attend a panel discussion hosted by the Dallas Civil Rights Museum at the Martin Luther King, Jr. Community Center. This will be a forum to observe the 60th anniversary of the brutal murder of 14 year old Emmett Till on August 28, 1955, in Money, Mississippi. Dr. W. Marvin Dulaney, head of the History Department at the University of Texas at Arlington (UTA) will lead the panel discussion. The panel will present an overview of events that followed the Chicago teenager’s murder: the open casket funeral, the acquittal of the men tried for the crime, media attention the acquittal drew, and the world’s response to man’s inhumanity. Since 1955, unknown numbers of young black people have lost their lives in similar circumstances. The panel will touch on what has transpired between Till’s untimely death in 1955 and the death of many others through today. Panelists will include Dr. Robert Bing, UTA Department of Criminal Justice; Mr. James Hawthorne, Retired Assistant Chief of Police (Arlington Police Department); Judge C. Victor Lander; and Mrs. Collette Flanagan, Mothers Against Police Brutality. This is a free event but an RSVP is required.